When Mala and Ronak learn that their mother has only a few months to live, they are reluctantly pulled back into the Midwestern world of their Indian immigrant parents. In the brief time between diagnosis and deterioration, busy, efficient Mala commits to mastering her mother's slow art of Indian cooking. Perfecting the raita and the rotli, the two begin not only to work together but also to talk, confronting their deepest divisions and failures. But when Ronak hits upon the idea of selling their cooking-as-healing experience as a high-concept memoir, immigrant and native-born must find a way to cross this last divide. 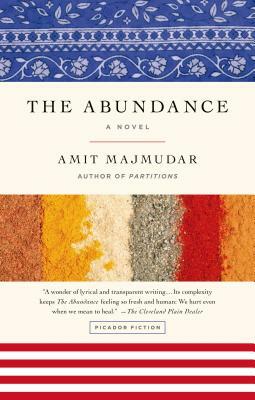 With grace, acuity, and wry compassion, in Abundance, Amit Majmudar has written anew the immigrant experience, the clash of cultures, the conflicts of assimilation, and, most poignant, the tangled ties between generations.